An interview with Cindy Watson Caprel, elite coach of Deanna Stellato among others, and also a technical specialist. 37 minutes, 51 seconds. On her most embarrassing skating moment: I actually have two. The first one was probably my last Nationals which was in Buffalo in 1971. 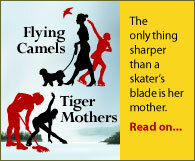 I skated a clean long program, and I was getting to the end of my program and I was very very excited, and I went to go into my flying camel and I missed my toepick. And fell flat on my stomach. I broke a nail, I was bleeding by the time I got off the ice, and I was so embarrassed I thought I wanted to die. Because I was so excited that I had done this clean program, and then marred it with a stupid spin. The other was the Nationals before that, during the figures competition. I remember doing a paragraph double three, forward, and getting a standing ovation. It was the most amazing thing – I stepped off my figure and everybody started clapping. And it wasn’t – it looked like a good figure from the outside, and then they posted the results, as they did after every figure, and I got eighth. And I remember Carlo, Carlo Fassi, being just furious. I mean, he was furious! “I do not understand what is wrong with these judges!!! “ And so at the end of the competition we went to the Nationals party, and I happened to run into him just as I was coming in the door. And there was a group of judges standing over in the corner. And he grabbed my hand and dragged me over there, and I think I had ended up fifth or sixth at that competition, and he dragged me over to the judges and just – he pointed at me, and he said “Do you not take this girl seriously?!? What is the matter with you?! 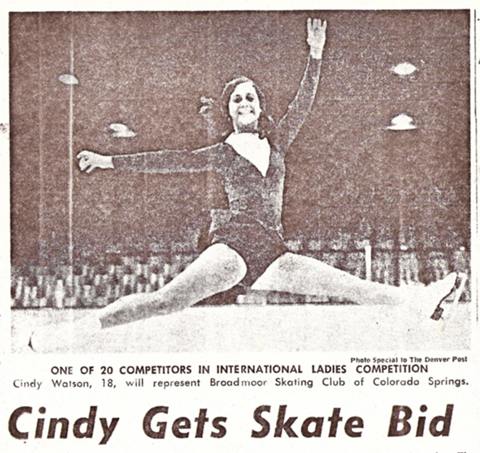 ?” And he started yelling at the judges, and I, as a young skater, thought I would die [laughs]. On becoming a coach: After I finished my last Nationals – I didn’t know it was my last Nationals, but my family was pretty financially strapped at that point, and I really didn’t have a choice about competing. I wanted to go for the Olympics, but back then, we were totally and completely responsible, the family was completely responsible for the finances. We got no financial help unless you could find a private sponsor, which was very difficult back then. So I didn’t really have a choice of not competing. It was a matter of, okay, do I go into a show? Do I coach? Or do I go back to school? Those were my three choices. And I did look into participating in a show, but back then they weren’t paying very much money at all, and although I was a national competitor and sectional champion and had some titles, I wasn’t a national medalist. So it was tough to get into the show, as it still is. But I always loved helping other people. I mean, even sometimes Carlo would come over and ask me to watch someone’s jump, and then say, “Okay, what was wrong with that?” And I would give him my opinion, and he would say “So how would you fix it?” That’s kind of where I started to realize, gee, I really kind of enjoy helping. I enjoy solving the problem. I enjoy teaching. So after the show thing didn’t work out, I just kind of fell into teaching, and when I came back to Chicago from Colorado, I was pretty well known. So I immediately built up a solid base of students. On her goals as a coach: I am so grateful to have had in coaching what I’ve had. I’ve had some of the most talented young skaters that have produced wonderful outcomes in their careers, and I’ve been very lucky with that. Obviously I have not been to a senior world championship, which I would love to do, or to the Olympics, which I would love to do, but I think a lot of that is being lucky to get the right kid, and having all the circumstances stay in place long enough to take them there. It’s kind of been fun that I’ve had kids right from the beginning all the way through to the end of their career, building that skater all the way up. 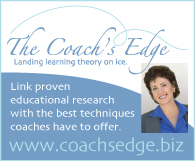 One of the easiest things to do is to get a great skater who’s already trained and make them better. To me, that’s easy coaching. But to produce a good skater from grassroots is very rewarding, and I’ve been very lucky to do that. And one of my goals when I teach is I want them to be wonderful people too. Not just great skaters, but I think as coaches we have to coach them in life lessons as well. And skating is a wonderful medium for that. It teaches you success and failure very quickly [laughs] and you learn how to deal. On teaching students today as compared to teaching students when she started coaching: I’ll start by saying that they’re very stretched. It’s soccer, and basketball, and skating, and with all the things you have to do just to be a great skater, that could take up all your time. And the kids today are pretty distracted by everything. So I feel that they don’t focus on one thing any more. It’s a different generation. It’s the entitlement generation. I was happy to hear other coaches use that word. They feel like they’re just entitled to something and they don’t really have to work hard to get it. I teach in an area that is pretty affluent, and the kids here – I forget what coach it was, but they said the kids will come to the barrier and kind of lay on it, and talk to you, and they’re just sort of laying on the barrier. Whereas I remember skating up with my hands behind my back, and my posture up, and my eyes open, and waiting for my next order. And the kids today, they’ll just come and lay that arm, and put their hand and their head – it’s just a totally different generation. But society is different today too. But it’s always taken what I call “the x factor” to make a champion. I don’t know whether it’s inborn, I kind of think it is, but the kids today – they can be very good skaters, but can they be that awesome skater, that great skater? That Michelle Kwan or that Kristi Yamaguchi who were so focused? I don’t know, it’s a different type of teaching. It’s a more patient type of teaching. You can get your idea across but it’s a lot more work [laughs]. On being appointed a national-level technical caller: [When the new judging system came in] I was just like everybody else, rolling my eyes and going, oh, I don’t get this. And then two years ago I just decided, you know what, this is here to stay and if I’m truly going to understand it I’m going to have to be part of it. So I took several technical schools, and it took me a while to really get it, because it’s a whole different way to think about figure skating. I had to really practice a lot. It’s just like skating. If you don’t practice, you get slow at calling, and now we have a whole new set of levels, and they’ve changed some of the bullets, so we’ve had to relearn that. It’s a constant learning process. And I’m very glad that I did it. I enjoy going to a competition and being part of the judging team. And I think it’s good that the technical specialists are coaches who have been in skating for a really long time. But it’s work. I still have to constantly check the sheet, and check the bullets. But it’s fun.